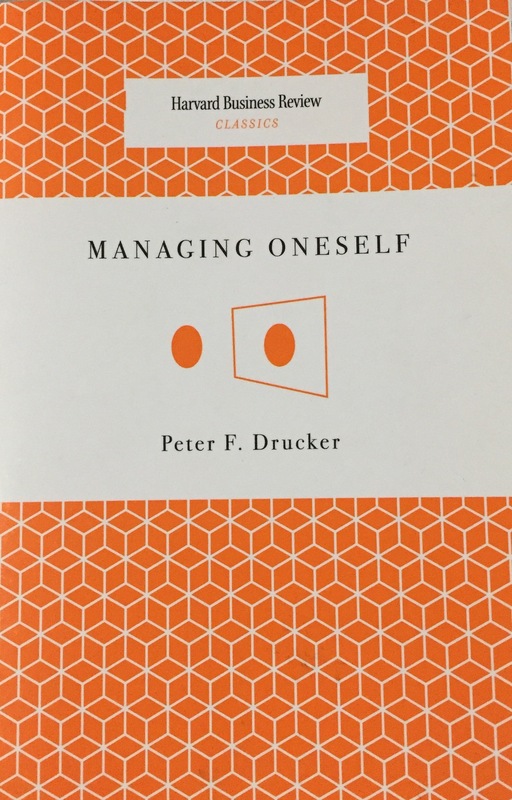 Managing Oneself by Peter F. Drucker is a surprisingly powerful book/essay. With only 55 pages, he managed to express the importance of knowing your strengths and what kind of environment you work best in. Are you a reader or a listener? People are rarely both. Do you learn by writing? Or are you more introverted? Just knowing how you learn, or what environment you work best in, is only half of what you need to do. Once you figure these things out, it is important that you optimize your life so that you can use the ways you learn to your advantage. If you learn by writing, carry a notebook. If you learn by talking, recite the day to yourself as you drive home. If you learn by listening, listen to audiobooks and podcasts. The most important lesson from this book is that you can only build upon strength. You have to figure out what your strengths are – it may not be what you think it is. A great way to know what your strengths are is through Stranger Feedback. If someone you don’t know all that well says you’re good at something, chances are that is one of your strengths. For example, I have had many people tell me I am a good writer, and I never thought I would enjoy doing it until I gave it a shot. I only gave insight on some of the important parts of this work. Whether or not you are interested in what else he has to say, I recommend that everyone reads Peter’s book. CLICK HERE to buy Managing Oneself and learn how to become more successful in life. Hopefully, you learned something from this review. If you did, or if you enjoyed reading this, please like and/or share this review. It helps me a lot.